FIRST LOOK -- "Trade-In Special." Low-mileage, do-it-yourself opportunity Jeep. Great potential and ready-to-sell price point. This original, low-mileage unit (only ~65k actual miles) is a trade-in special that's ideal for the DIY buyer. 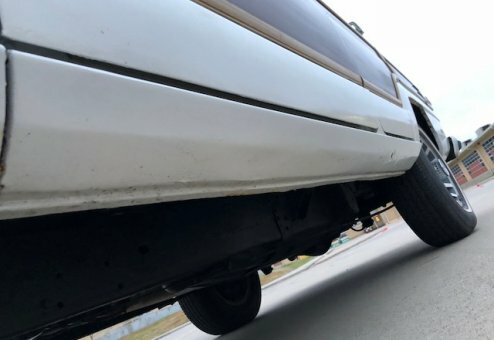 It's structually sound, but has previous body and frame rust repair work completed (sold new in Pennsylvania) so does NOT qualify as a Wagoneer World certified Jeep. 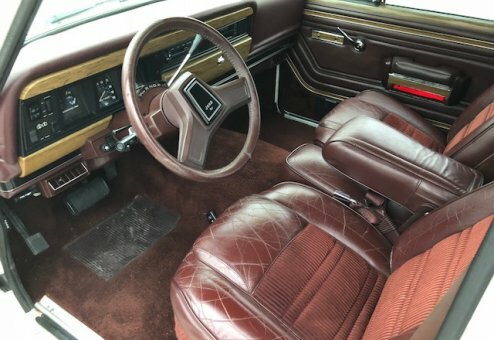 However, it does have great potential as an original driver-quality Jeep for the do-it-yourselfer with the capability to restore it on your own. 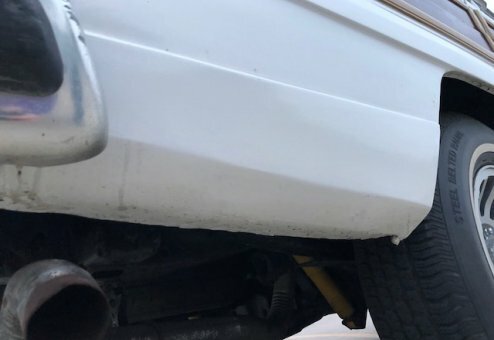 It needs full mechanical servicing, including shocks, a tune-up, and has a transmission leak, yet is an original, complete and low-mileage Woody with a clean and clear title. Starts up, runs and drives, however needs mechanical work before it can be considered a reliable driver. 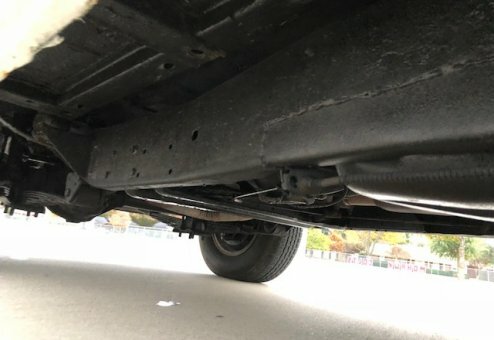 You are buying the potential of a low-mileage, survivor -- this is not a restored/collector-level GW. This Jeep was traded in by a client opting for one of our completed, restored and certified beauties. 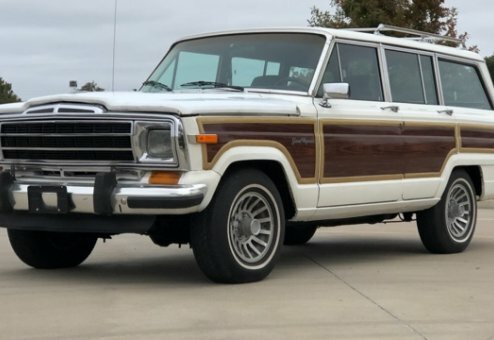 This is a special, sold "as is" and UNRESTORED Grand Wagoneer (NOT a certified Wagoneer World Jeep). 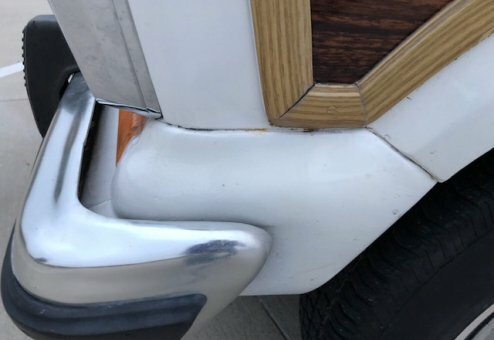 With the right attention it can be a solid driver, but does not meet the mark to qualify for a Wagoneer World inventory restoration (frame is solid/structurally sound, however was previously repaired). For the right buyer looking to get a low-mileage, original Woody at a bargin price point for a home restoration project, this could be the one. 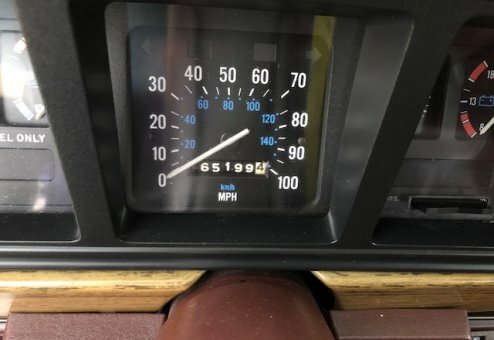 You aren't likely to fine a low-mileage GW on the market today at this price point. Please call or email for more pictures and details on the "Trade-In Special."